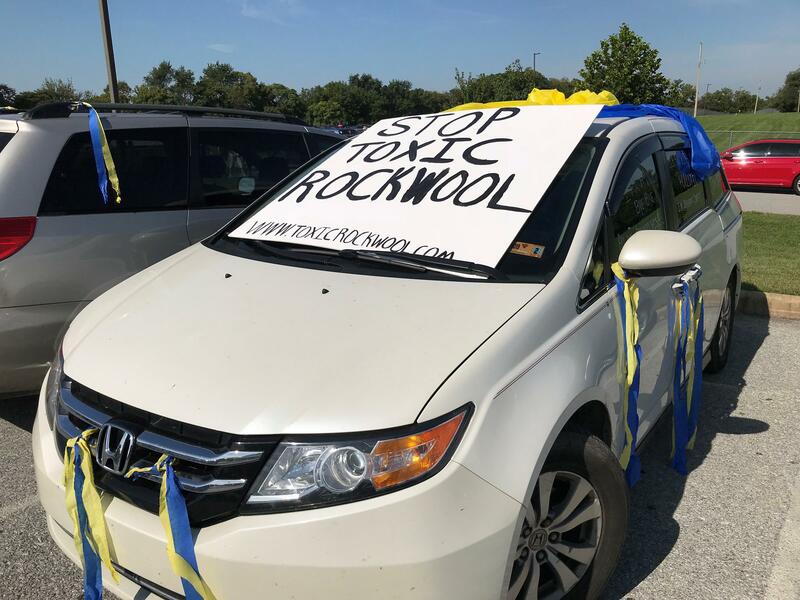 Hundreds of Jefferson County residents and locals from nearby counties rallied outside the Jefferson County Community Center on Saturday Aug. 25, 2018 to protest the Rockwool company. 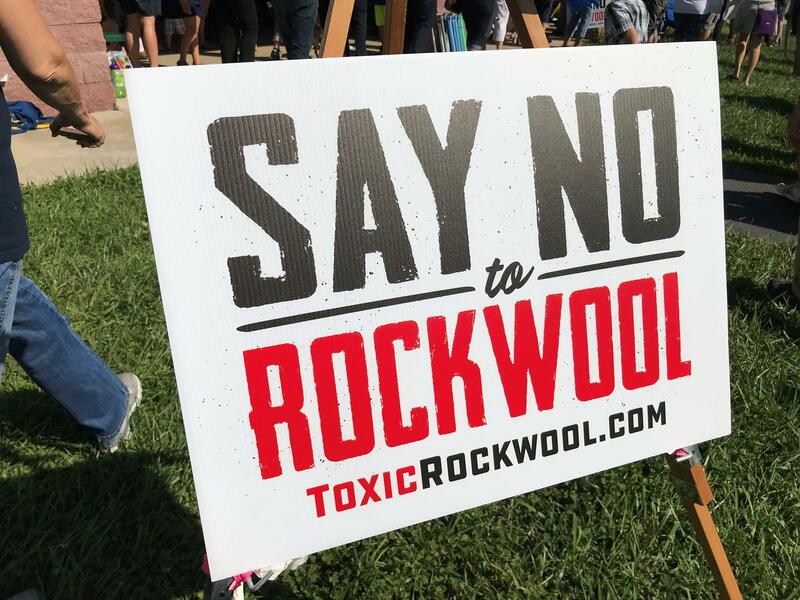 Dozens of “Stop Rockwool” or “No Toxic Rockwool” banners and signs lined car windows, trucks, or were held by protesters. They chanted and cheered, and even sang “Almost Heaven” by John Denver. These residents say they're angry and scared. They’ve voiced concerns about the plant’s impact on air quality and health, which is slated to be built just a few miles from four public schools and neighborhoods, and it will have two smokestacks. The issue has also attracted nearby out-of-state folks like David Pratt of Winchester, Virginia. Pratt said the company will affect the entire tri-state region, not just West Virginia. Pratt said he thinks the region, including the Eastern Panhandle, would benefit better from jobs in agribusiness and tourism rather than the manufacturing industry. The Rockwool Group has been around for 80 years. News of the company coming to Jefferson County first hit local newspapers and West Virginia Public Broadcasting’s airwaves in July of last year. The company touts itself as ‘green’, using state-of-the art technology to clean and melt down basalt rock and recycled slag, and ‘spin’ the fibers in a fashion, kind of like how cotton candy is made. The company plans to recycle water it uses and employ a storm water management system. But there will be two smokestacks releasing a range of chemicals like benzene and formaldehyde. 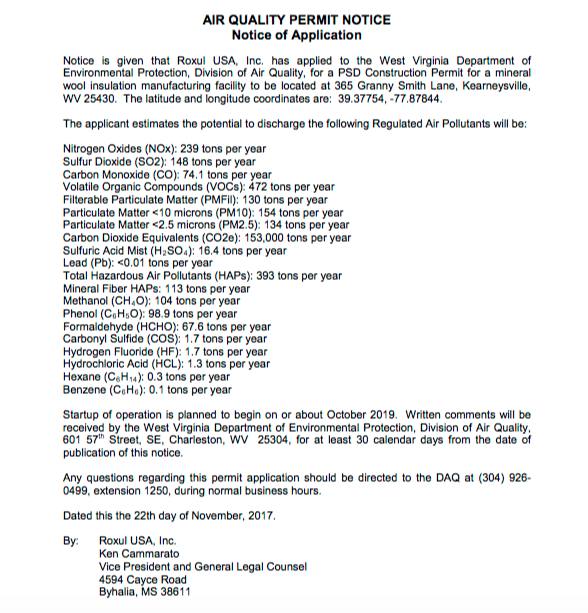 Rockwool’s Air Quality Permit was approved by the West Virginia Department of Environmental Protection in April. The facility in Ranson is slated to offer 150 jobs, ranging from entry level operators, electricians and welders, to management positions. Entry level positions will make $17 per hour. Managers will have an annual salary of around $85,000. Rockwool said all employees will receive full, family health benefits, a 401k, and two-weeks paid vacation. Rockwool held four community open houses last week. Tables lined the Jefferson County Community Center's gymnasium, and it was structured similarly to a job fair. Videos of testimonials looped on monitors. Product demonstrations and air quality charts were displayed. And several Rockwool employees from Canada and Denmark were available to chat. But not many protesters went inside. Some people did though, like Shepherdstown resident Lynn Wagner. She found it disturbing. Other residents had a different reaction. Kearneysville resident Barbara Fuller was not a protestor, but shared concerns about emissions. “The hard questions of, ‘are you going to poison us?’ were met with compassion. No snark. I was genuinely just…I was impressed,” she said. Fuller said she’s not 100 percent on-board yet and wants to do her own research. 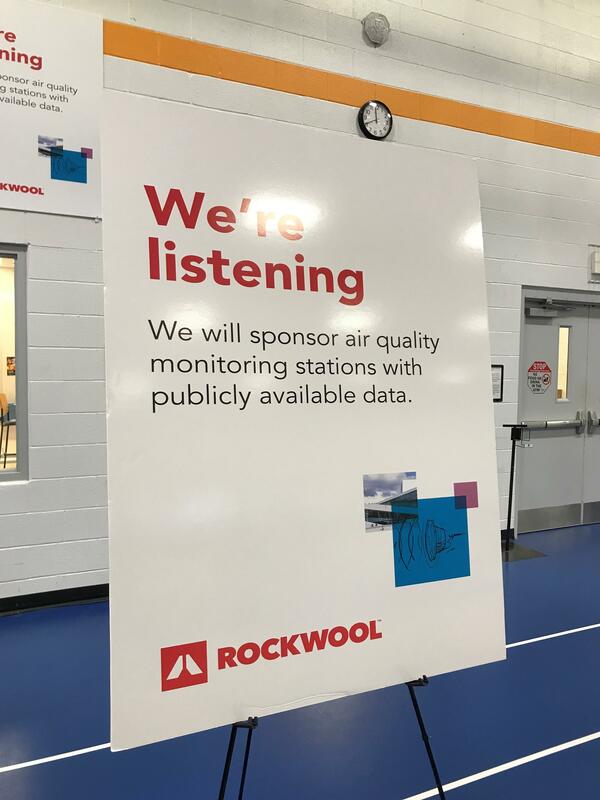 Rockwool’s North American President Trent Ogilvie said his company will be installing air monitoring stations near the Ranson plant that the public will be able to access. 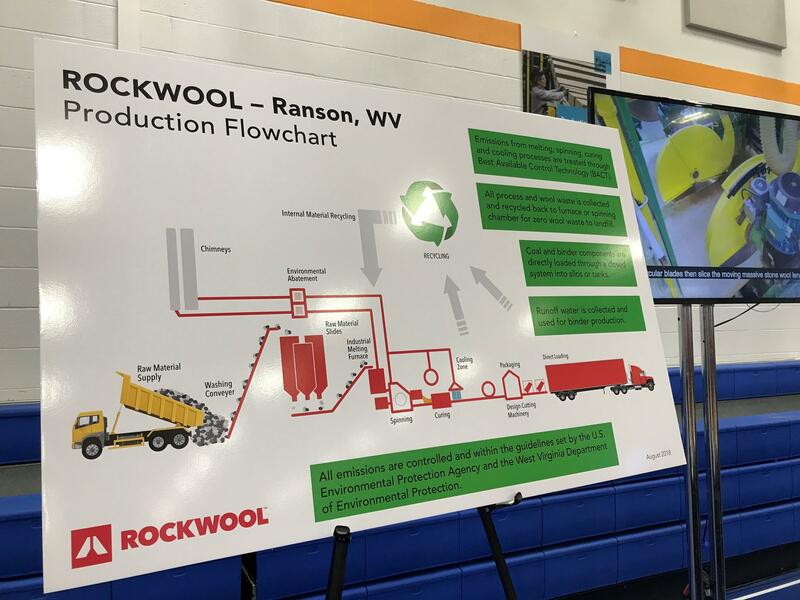 One of the stations at a Rockwool Community Open House. 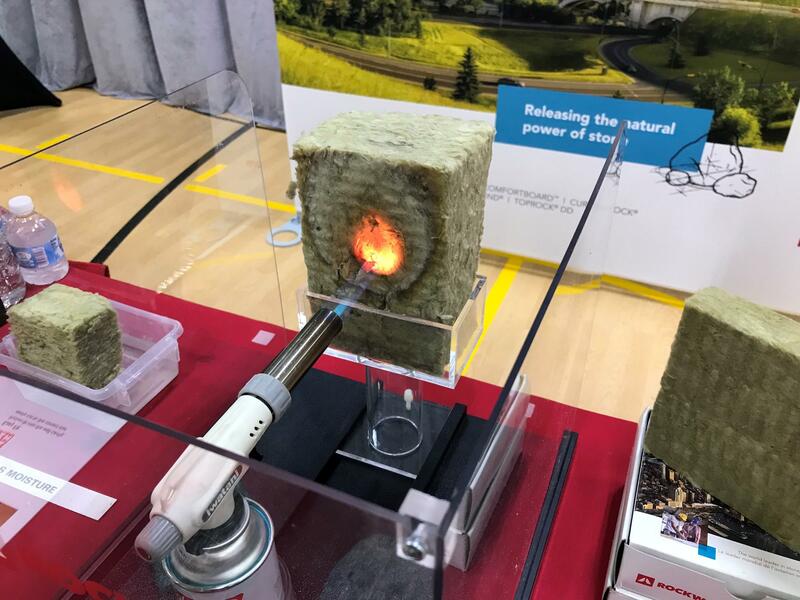 Rockwool's insulation product is fire and water resistant. He also hopes to foster better communication between Rockwool and Jefferson County residents, beyond the open houses and after construction is complete. 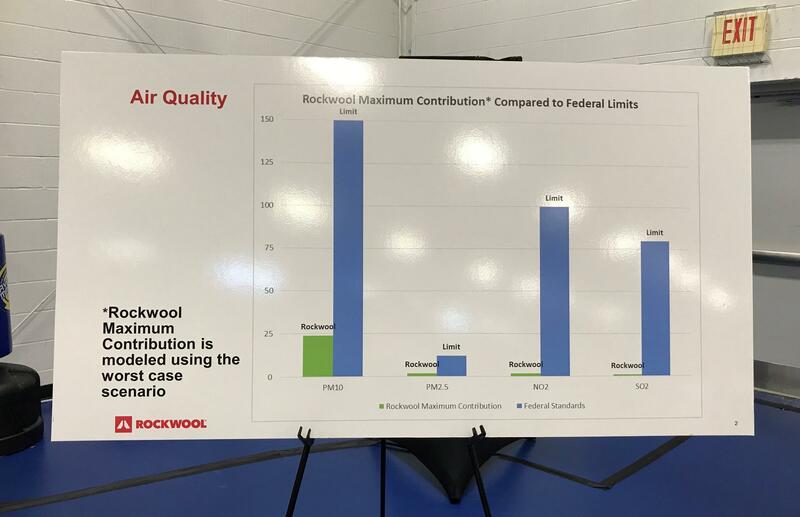 A Rockwool spokesperson said 200 people from the area attended the open houses. Meanwhile, one online protest group has grown to include nearly 8,000 people. The Ranson plant broke ground in June and is expected to have completed construction by 2020.